For thousands of years many people have believed that 3 is a magic number – omne trium perfectum – every three is perfect. In our gardening business 3 is certainly our magic number. 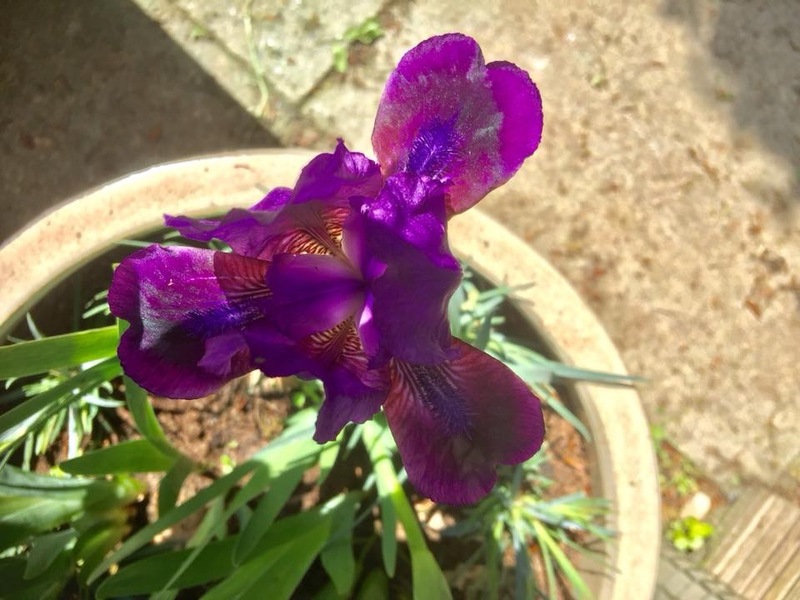 We have used this long established theory of threes in our business organisation and set up, and we have also used this magic number to focus our garden maintenance work on 3 main areas in a garden. Mr & Mrs Gardens Limited is split into 3 business areas, each with its own business name, and each area with its own particular focus. We believe that if these 3 areas of garden maintenance are addressed regularly in a garden, then the rest of the garden can become the colourful, useable, growing, entertaining, flowing and relaxing space many of us hope for and enjoy in a garden space. Not only is a well maintained lawn a garden asset in its own right, with its cooling, oxygenating, and soil enhancing properties, but in our opinion a lawn compliments many other areas of a garden. For example, a beautifully edged lawn can contain a flower and shrub border within defined spaces in a garden. A lawn can be an area for toddlers to learn to walk and run on, for older kids to play on, and for adults to relax on. Sometimes we forget just how much fun it is to walk barefoot on a well maintained lawn, with the grass blades tickling between our toes. You should try it this year – go barefoot on your lawn and bring back carefree memories of years gone by. It’s amazing how stress busting a barefoot walk on a soft lawn can be, and if you are looking for something to refresh tired and sore feet, then a walk on a dew laden lawn is perfect. 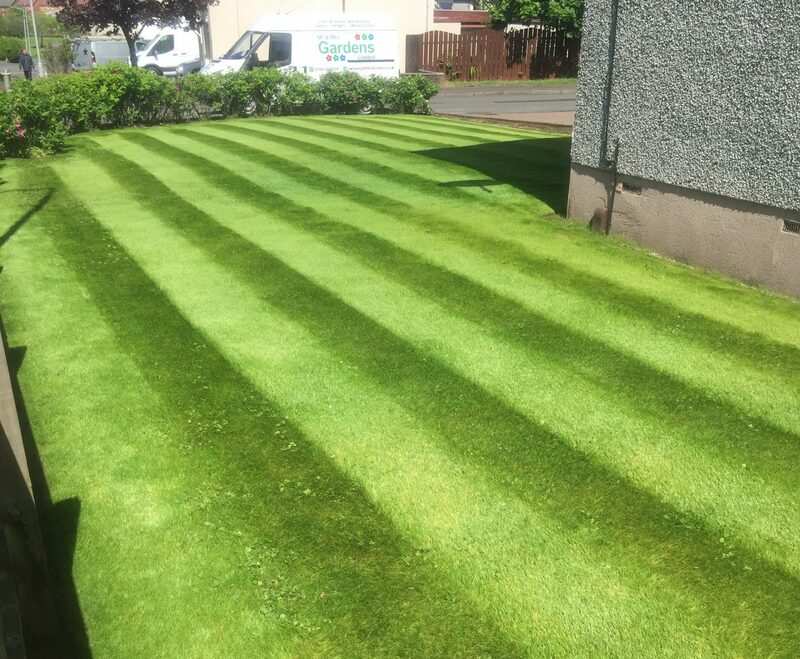 The Lawn Advocates provide a range of lawn care services, from regular fortnightly lawn mowing to full lawn renovations. More details can be found in The Lawn Advocates section of our website by clicking this link – THE LAWN ADVOCATES. Well maintained hedges can create a living green border around the perimeter of a garden. Hedges can be a nesting and resting place for small birds as they search for food, as they navigate the green spaces in towns, and as a way to avoid and hide from larger predators. The sound of a hedge full of garden birds really is one of the quintessential experiences of owning, caring for and enjoying a garden. If you ever consider removing a garden hedge and replacing it with a fence, remember garden fences don’t sound like this – click this link to listen to & watch our 15 second YouTube video of a hedge alive with the sound of birds. Hedges can also last a lifetime, can come in different colours, textures and heights, and can even change colour naturally as the seasons in the year change. Many hedges can also become renewed and re-energised again as the first new buds of spring emerge after the winter frosts. 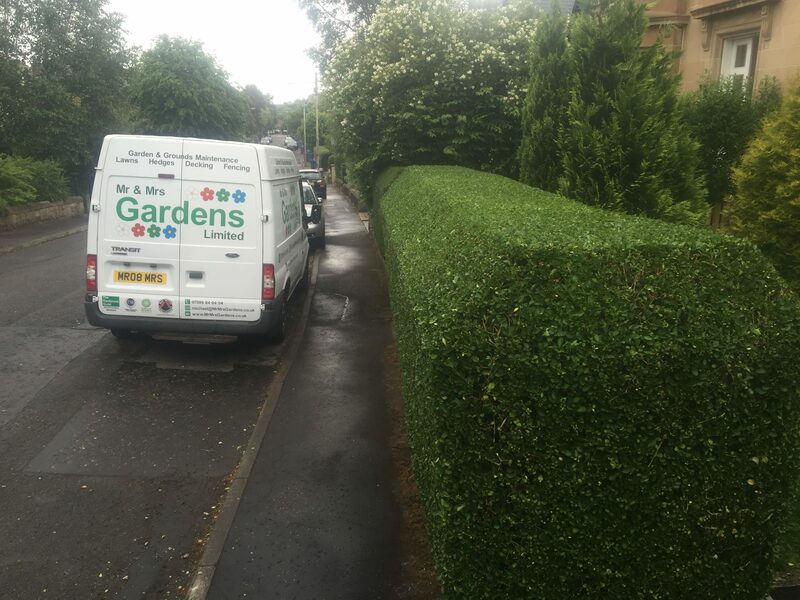 All For Hedges provide a range of hedge cutting and hedge trimming services, from high hedges to low hedges, from conifers to privet and lots more in between. More details can be found in the All For Hedges section of our website by clicking this link – ALL FOR HEDGES. Weeds are very hardy and adaptable. They can be nice to look at, and can be full of colour and usefulness. For these qualities, they deserve respect and praise, and in many circumstances they can be left to their own devices for people, insects and wildlife to enjoy. However, weeds can become a problem in a garden. For example, they do not respect defined spaces. Weeds have creative ways of spreading around a garden – underground root systems, sticking barbs, exploding pods, floating on air and on even on water. 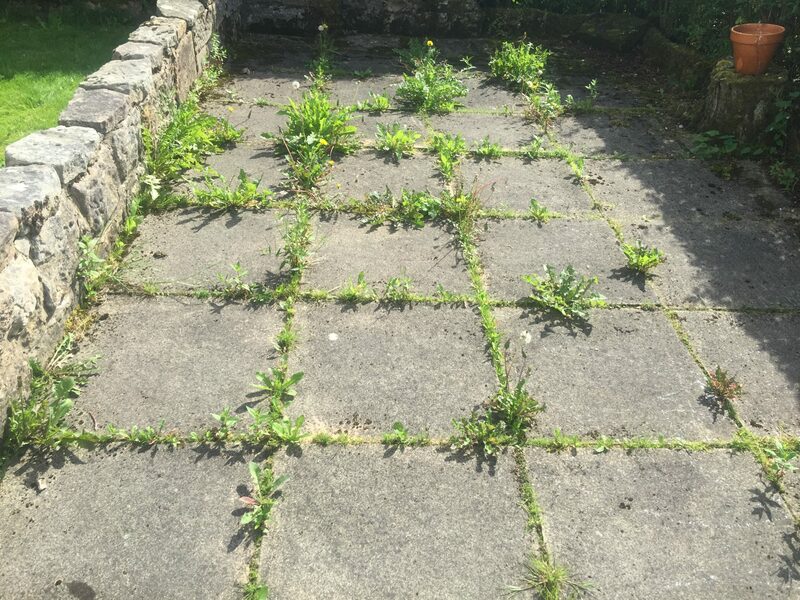 Weeds can grow in places we don’t want them to grow in, and they can take over – such as in lawns, in borders, in gravel beds, decorative stone chips, patios and driveways. Left alone to flower and seed, they can multiply. There’s an old saying, ‘seven weeds seeding, means seven years of weeding’. There comes a tipping point when weeds can become bullies in a garden. Don’t let weeds reach this point – ‘bullying weeds will spread their seeds‘. Bring the weeds under control and reclaim a clear space in your garden. No garden is ever completely weed free – weed seeds can survive and lay dormant for many years, patiently waiting for the perfect combination of light, warmth and water. It is down to us to create a clear space in our gardens. Nature is not interested in creating clear spaces in gardens, but we are. Clear Space Weed Control provide a range of weed control services, from one-off weed killer treatments, to annual weed treatment programs. More details can be found in the Clear Space Weed Control section of our website by clicking this link – CLEAR SPACE WEED CONTROL. “ 3 That’s the magic number. Yes it is. It’s the magic number ” (The Magic Number, De La Soul, 1990).